We’ve waited for months, we’ve been teased with all sorts of shadowy pictures and sketches and now finally –finally– General Motors has unveiled the all-new 2016 Chevrolet Camaro. 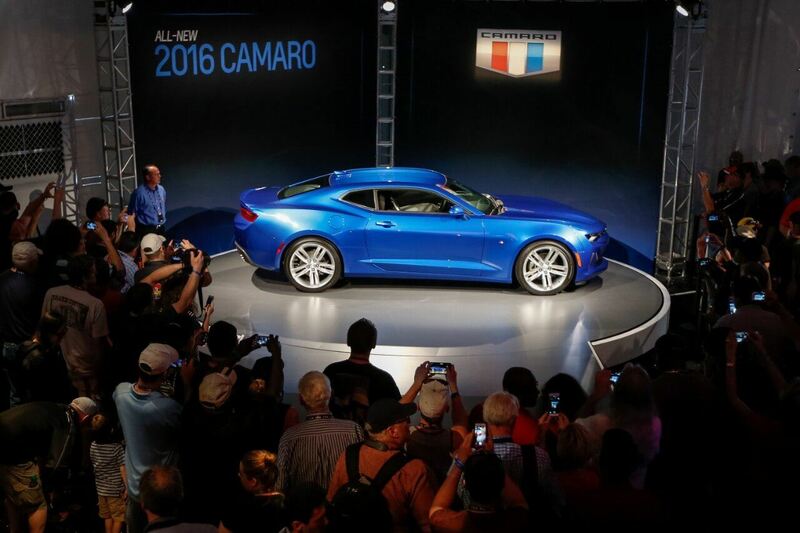 The car was unveiled to the world at a special Camaro event in Belle Isle, Detroit on May 16, and were pretty sure it impressed everyone who was lucky enough to attend. Just look at it! So, what can we expect from the all-new Camaro? First off, there’s the slinky new sheetmetal. GM’s designers took an evolutionary step, rather than evolutionary leap, with the new design and we think they were smart to do so. It’s sculpted bodywork looks mean, hungry, and ready for action. From what we’ve seen and read so far, we expect this new Camaro to drive and handle unlike any other Camaro that’s proceeded it. Why? For one thing it rides on GM’s new lightweight Alpha platform, which helped cut about 200lbs of weight from the new Camaro (depending on the model) versus the old car. Structural rigidity has also increased 28 percent, which means the new Camaro will hug corners like no Camaro before it. Super Efficient: A new 2.0L turbo inline four-cylinder engine promises a husky 275 hp and 295lb-ft of torque, which is good enough to propel the 2016 Camaro to 60mph in well under six seconds. Cream of the Crop: Many buyers will surely opt for the new 3.6L V6 engine featuring direct-injection and cylinder deactivation, which kicks out a potent 335 hp and and 284lb-ft of torque. Tower of Power: Camaro wouldn’t be Camaro without a big V8 and GM’s engineers have gone above and beyond by creating the most powerful Camaro SS ever. Under hood sits a new 6.2L LT1 small-block V8 engine, which produces a mighty 455 hp and 455lb-ft of torque. Best of all, all three powertrains can be combined with either a six-speed manual transmissions or an all-new eight-speed automatic transmission. Oh, and just for the record the 2016 Camaro is truly an all-new vehicle– just two parts carry over from the last car: The bowtie badge and the SS emblem. 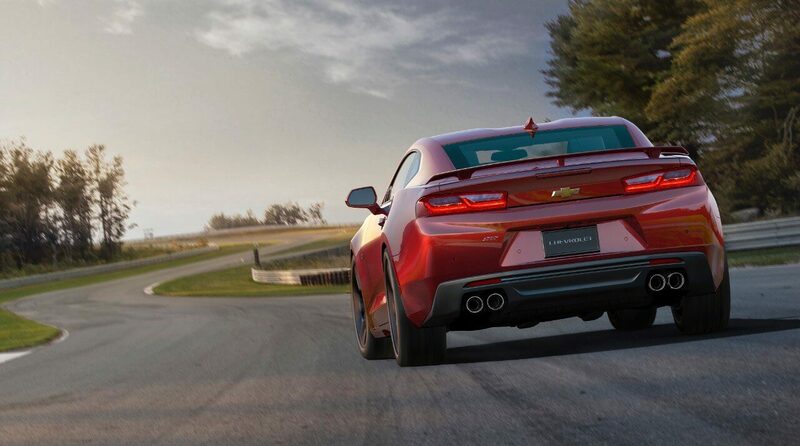 Look for the 2016 Camaro at Wallace Chevrolet later this year, and keep your eyes peeled for more Camaro updates.